For the first few days of our vacation, we're in Oahu. Fermin won this part of the trip (and the flight getting us to and fro!) for doing such a great job at work. Way to go, Fermin!!! 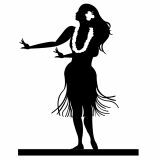 We're staying at the Kahala Hotel and Resort thru Sunday. Thank you, McAfee. and if you stand in JUST the right spot, we have an ocean view! Fermin is in meetings until 4pm today, and so I'm just hanging around. I went for a run this morning, just got to eat yummy swordfish tacos, and now I'm out on the balcony about to serenade myself with my ukelele! 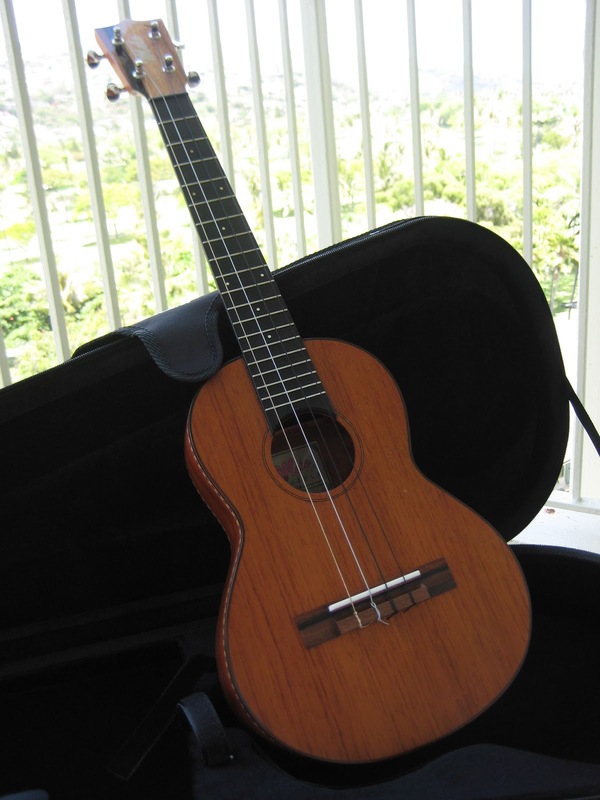 (Which, by the way, I bought when I was in Maui a few years ago...) Not a bad day at all! This is the first vacation Fermin and I have taken since Lucy and Ricky joined our family. I have the best sister in the world~ She flew in from New Mexico to stay at my house and take care of Lucy and Ricky while we're away! I know they're in great hands. She and I look a lot alike, so they may not even know the difference! Tonight, there will be an award reception and dinner for all the Mcafee people. The Counting Crows will be performing~ which would be more exciting if we hadn't already seen them last time we were at one of these work trips, which also happened to be in Hawaii. (This is a little like the movie, "Groundhog Day".) I think they should've instead invited Eddie Vedder to perform his "Ukelele Songs" CD! But sadly, they did not ask for my opinion. But hey, we're in Hawaii! I really can't complain, can I? !